The of Pliny the Elder (23-79) mentioned "Spionia" (Spanna) is mentioned as a possible ancestor, for which there is no evidence. 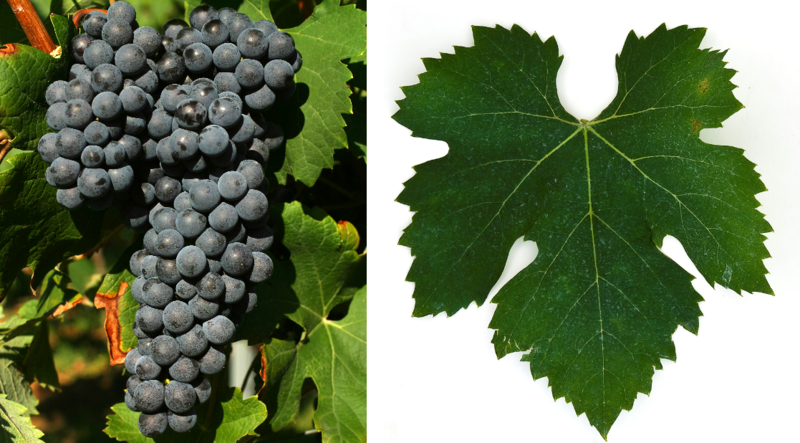 In any case, it is a very old grape variety, from the 13th to the 19th century in many documents in Piedmont in the spellings Neblorii, Nebiolo, Nubliolio, Nibiolii, Nebiolus and Nebiolio, as well as Chiavennasca, Prünent, Picotendro and Spanna is called , Among other things, the medieval author described Petrus de Crescentiis (1230-1320) in 1303 the grape as "delicious" and the wine from it with "excellent". The special position of the variety occupies a statute of the community La Morra from the year 1431. In this everyone is threatened with a heavy fine and in case of recurrence even the loss of the right hand, which cuts off only a single Nebbiolo grape from the vineyard. The great wine potential of this variety was created by the famous French oenologist Louis Oudart In the mid-19th century, he recognized the dry style of today's famous DOCG wines Barbaresco and Barolo created. Until then, she was mainly expanded sweetly. In Italy today it is mainly in the regions aosta Valley. Lombardy and Piedmont (here often under Chiavennasca or Spanna) cultivated. There it is often with a high proportion, among other things in the DOC / DOCG wines Albugnano. Barbaresco. Barolo. Boca. Bramaterra. Canavese. Carema. Colline Novaresi. Coste della Sesia. Fara. Gattinara. ghemme. Langhe. Lessona. Nebbiolo d'Alba. Roero. Sizzano and Valtellina contain. Despite the high quality potential, in 2010, it occupied only 5,536 hectares of vineyards, which is due to their high standards regarding sun and limestone soils. Outside of Italy, there are only relatively small Nebbiolo stocks with individual producers or vineyards with very few hectares. That's in Europe France (Languedoc) Switzerland (Valais) and Austria, Overseas, there are also smaller stocks in the US States Idaho. California. New Mexico. Oregon. Pennsylvania. Tennessee. Virginia and Washington, as in Argentina. Australia. Chile. Canada. Mexico. New Zealand. South Africa and Uruguay, The variety occupied in 2010 a total of 5,992 hectares of vineyards. Compared to 1990 with 5,047 hectares at the time, this means an increase of around 20%. It occupies the worldwide varieties ranking the rank 103. This page was last modified at 1 April 2019 at 08:02.